We are pleased to offer for sale this 1950-D Jefferson Nickel KEY DATE. There were only 2,630,030 of these 1950 Buffalo Nickels minted at the Denver (D) mint, making this a key date of the series. 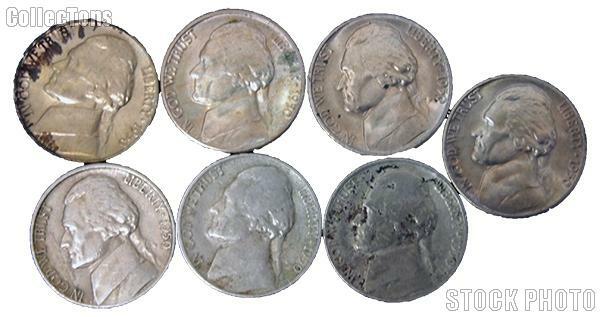 These Key Date Jefferson Nickels will grade G-4 or better but with problems such as: cleaned, rim dings, scratched, spotted, or off-color surfaces. There are no holed or bent coins. At these wholesale prices it is a great way to fill the tougher holes in your Jefferson Nickel collection!